Things I Learned from a Tween - OMG Parenting!OMG Parenting! ← MaMa Guilt – Is It Just a Part of the Job? There’s not as much parenting advise about tweens as there is about babies, toddlers and teens. That’s because the tween years are so easy compared to the other years!! Tweens are 8 – 12 years in my book, although others might say 9 – 14 or 10 -14 years. While they are relatively calm years, there is a lot going on! “Wow, I’m separate from Mom and Dad” – their own opinion matters more to them at home and in school. ” My body is changing” – they’re clumsy during growth spurts, deodorant becomes a part of life, they start to become aware of sexuality. “The world is complex” – tweens are starting to comprehend consequences from actions, they can start to grapple with community and world events (which can be overwhelming depending on what is going on) as they start into less concrete reasoning. It’s not just do this, and then that happens. There are variables. “There’s so much to know” – learning and play still go together but it is also more formal. They also feel in ‘awe’ of their emerging interests. The glory of imagination! Different accents, different ideas, different personalities were all tried on through active creation of scenes, stories written. Imaginary events were always leading to questions about real things; what happened to the American Indians, will I get married, what would it take to run as fast as a car can drive? It’s the seeds of the power of visualization, the power to imagine ‘why not’? Imagination is a very passionate thing, I was reminded. So refreshing. The glory of independence! When my daughter was 8 years old, I could leave her alone in the house for half an hour and she’d be fine. I know parents that could do that for longer. And some that decided their child wasn’t ready to be left alone until later. So it happens at different times for different kids. By the end of the tween years, 3 hours was the max and sometimes her friends were involved. She started to walk to school with friends, do her own laundry, cooked some, decide on her own purchases. She loved it! So did I.
I got better with math! My daughter loved having math problems and calculations given to her as we drove somewhere. In turn, I got quicker and better than I’ve ever been with math. Wonders never cease. The surprising depth of a young person! We went through some significant financial hardships when my daughter was between 10 and 12 years old. One day I asked her how all this was for her. She was silent for a bit then said, ‘I really value what I have. I think it’s taught me that I don’t always need new stuff to be happy’. Boom! That was so not the answer I was expecting. When you want to argue, ARGUE! I remember the day I woke up and realized what a pleasure it was to argue with my daughter! She was a match for me; not more powerful, not weaker. I’ve never had that with anybody else in my life. And it is truly a good feeling; to know that the other person can take care of themselves, listen, dish it out, and think/feel their way through it even while arguing away, and still have it come to resolution. We adults intellectualize arguing too much. It’s good to just let it rip (no name calling or cussing at each other allowed though). The power of listening! In middle school, this is as big for both boys and girls (don’t fall into the myth that boys don’t notice this – they do). This was when I was glad I’d had friends who had come and gone from my life. 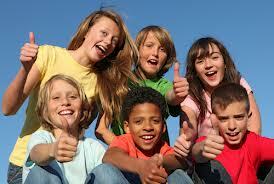 As their identity solidifies in the tween years, activities change. When activities change, the pack changes. And that is felt. Telling my own stories about friendship changes and friends that didn’t change no matter what, made a difference enough that I’d be listened to, albeit not enough to take the upset away. Niobe Way wrote a book about boys with this if you are interested. Deep Secrets: Boys’ Friendship and the Crisis of Connection. If you want more help with your girls, there’s a cool website for them that you can visit together. This is probably the biggest upset of the tween years. It definitely was a reminder that as a parent, you can’t always fix-it. But you can definitely listen. You can stand back, zip it, and notice what it is that your child really needs. So many times what they need is just to be heard, to be affirmed with specific real-time reasons for the affirmation. Listening is powerful! It will let you know what YOUR child needs. The tween years are when parents need to start to shift their parenting skills from telling to a mixture of telling and consulting; asking questions, prompting choices, thinking about consequences by asking ‘what if..’ questions. It’s when, as a parent, you start your liberation from have to keep telling. Notice I said ‘start’. These are also the years that our kids need our attention even more, just differently than before. They are evolving into their ‘voice’, separate from us. Parallel to that, your voice gets to come out more about your own needs. It’s a good thing; they start to see their parents as human beings and to get a fuller picture of adult life. They need hope, reliability from the adults in their life, fun, activities that connect them to a greater purpose, opportunities to grow their talents, to make mistakes and right them or at least deal with the consequences. They need choices. Life has lots of ups and downs. We can’t make it all smooth sailing for our kids. That’s unreal (I had to learn that). But we can help them deal. We can show them what it’s like to ‘deal’. We can be at their sides and close to their hearts.